There are various vocabulary words that can express various degrees of certainty, some of which is listed below. But beyond memorizing additional vocabulary, we also need to learn a number of sentence endings that also indicate various degrees of certainty. You will often hear 「でしょう」 at the very end of the sentence during, for instance, a weather forecast. It is used to express a fair amount of certainty when used with a flat intonation. At night, (it will) likely rain. Tomorrow (will) likely be sunny. In casual situations, when expressed with a rising intonation, it is used to seek agreement similar to 「ね」. However, while 「ね」 is used for what the speaker believes to be generally agreeable, 「でしょう」 can be more assertive and opinionated. 「だろう」 is another more masculine version of the casual usage of 「でしょう」. (I) said won’t make it in time, didn’t I? 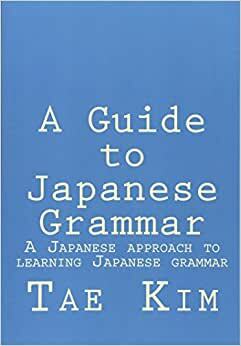 There’s time so (it’s) probably still ok.
「かもしれない」 is another sentence ending that expresses a neutral possibility with about 50% level of confidence. It is simply the 「か」 and 「も」 particles combined with the potential negative form of 「知る」 (literally meaning “can’t know even if…”). This means that it conjugates just like any other negative ru-verb. Another store may be cheaper. For casual situations, this grammar can be shortened to just 「かも」. Oh, (I) might have forgot to lock the door! There might be some cake left still, you know. We can use 「でしょう」 or 「だろう」 with the question marker 「か」 to question whether something is actually true. This is often used to express doubt or reflection. Was it ok like this (I wonder)? Will there be someone who can solve this riddle? For casual situations, we can attach 「かな」 to the end of a sentence. Was ok like this (I wonder)? Why does she lose (her) temper that soon (I wonder)? The sentence-ending particle 「っけ」 is used to describe something you’re trying to recall such as a vague memory or something you recently forgot. あれ – that (over there); huh? Huh? Where did (I) place (the) key(s)? Alice: I’m home. What about Mom? Dad: (She) went out for shopping. Alice: When is (she) coming back home? Dad: (She) just left (the) house so (she’ll) probably come back home around 9:00. Alice: Is that so? Ah, (I’m) hungry! Dad: Then shall dad make something? Alice: Dad, (you’re) bad at cooking, right? Dad: (I) might be able to make something simple, you know? Alice: Is that so (you think)?